Town in the Austrian province of Moravia. In official records Jews at Gaya are first mentioned toward the end of the seventeenth century; but there can be no doubt that a Jewish community existed there at the beginning of the sixteenth century, as an inscription on the ceiling of the old synagogue, torn down in 1851, showed the date 1507. 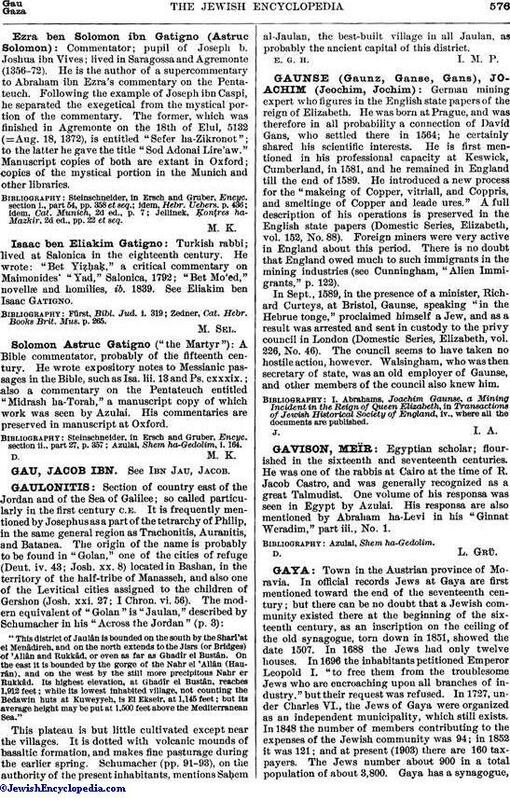 In 1688 the Jews had only twelve houses. In 1696 the inhabitants petitioned Emperor Leopold I. "to free them from the troublesome Jews who are encroaching upon all branches of industry," but their request was refused. In 1727, under Charles VI., the Jews of Gaya were organized as an independent municipality, which still exists. In 1848 the number of members contributing to the expenses of the Jewish community was 94; in 1852 it was 121; and at present (1903) there are 160 tax-payers. 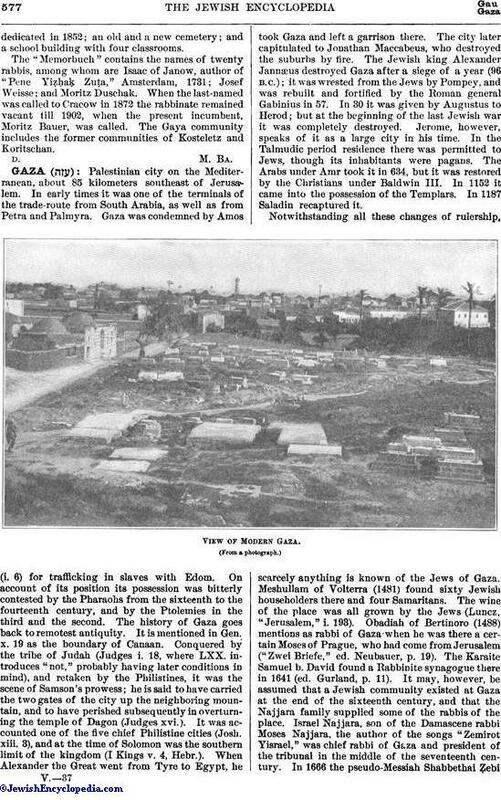 The Jews number about 900 in a total population of about 3,800. Gaya has a synagogue,dedicated in 1852; an old and a new cemetery; and a school building with four classrooms. The "Memorbuch" contains the names of twenty rabbis, among whom are Isaac of Janow, author of "Pene Yiẓḥaḳ Zuṭa," Amsterdam, 1731; Josef Weisse; and Moritz Duschak. When the last-named was called to Cracow in 1872 the rabbinate remained vacant till 1902, when the present incumbent, Moritz Bauer, was called. The Gaya community includes the former communities of Kosteletz and Koritschan.